Jakarta Education Dept. (Disdik) is asked to be more innovative to develop educative toys (APE) in all Early Childhood Education (PAUD) institutions in Jakarta.
" Thus we encourage to develop APE to be more innovative for PAUD"
City Council Commission E Secretary, Veri Yonnevil assessed, APE in PAUD is not updated and less in quantity. "Thus we encourage to develop APE to be more innovative for PAUD," he said at City Council Building, Wednesday (10/11). According to him, his side recommends Education Dept. to add more budget allocation for APE procurement to realize this in 2018. "APE for each sub-dept. has been budgeted Rp 30 million per year. It is not enough if there are 100 PAUD in each region," he said. Separately, Jakarta Education Dept. 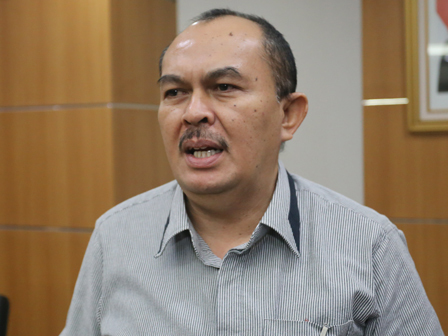 's PAUD and Dikmas Division Head, Fery Safrudin explained, APE procurement budget Rp 30 million in each Education Sub-dept. has been set through e-budgeting. "If council recommends to add, then we will add APE quantity and quality as needed," he closed.